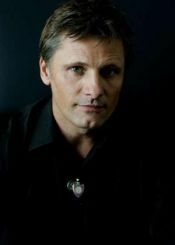 For Viggo Mortensen, acting in big budget Hollywood films is just one form of artistic release. Voted one of the world's most beautiful men by numerous magazines, Mortensen is also an artist, photographer and a jazz musician. "It is all one thing, there are all different ways of expressing yourself," said Mortensen, in Sydney to promote his Oscar nominated film A History of Violence. "You don't have to make something that people call art. Living is an artistic activity, there is an art to getting through the day." Mortensen, most famous for playing Aragorn in The Lord of the Rings trilogy, has been on the publicity trail for A History of Violence since the film screened at last year's Cannes Film Festival. The film, based on a graphic horror novel by John Wagner and Vince Locke, is directed by David Cronenberg. It is nominated for two Academy Awards next month - William Hurt for best supporting actor and John Olson for adapted screenplay. "This is kind of a model movie in a way," said Mortensen, who couldn't speak more highly of Cronenberg as a director. "I think A History of Violence will be studied in film school - it is that good." Mortensen plays Tom Stall, a small-town family man who shoots robbers at his diner and becomes a hero, only to find his past coming under intense scrutiny. "One of the things I like about Cronenberg as an artist is that he doesn't impose a message on people," Mortensen, 47, said. "He tells the story that he tells because he is interested in it ... that is what makes him such a good student in human behaviour." A History of Violence opens nationally on March 9 and also stars Maria Bello, Ed Harris and Ashton Holmes. "The movie is deceptively simple looking on the surface," Mortensen said. "The violence is 10 times more disturbing to see it straight on ... it is much more shocking because it is real and doesn't look super-human." Mortensen was concerned about the level of violence when he first read the script but was willing to take on the role when he learnt Cronenberg was to direct. The New York-born actor got his start playing a young Amish man in Australian director Peter Weir's 1985 hit Witness. Since then, he has been seen in more than 40 films including The Young Americans, Crimson Tide, GI Jane, The Portrait of a Lady, Psycho, 28 Days and Lord of the Rings. His next movie will be Alatriste, playing a Spanish soldier turned mercenary in the 17th century. "Alatriste is a fiction but with a lot of historical characters in it," Mortensen explained. "I saw parallels to now ... Spain then was an empire that was falling and I saw parallels with the empire that I am a citizen of now."